More than 250 customers of a popular and powerful online attack-for-hire service that was dismantled by authorities in 2018 are expected to face legal action for the damage they caused, according to Europol, the European Union’s law enforcement agency. In April 2018, investigators in the U.S., U.K. and the Netherlands took down attack-for-hire service WebStresser[. ]org and arrested its alleged administrators. Prior to the takedown, the service had more than 151,000 registered users and was responsible for launching some four million attacks over three years. Now, those same authorities are targeting people who paid the service to conduct attacks. The post A Five-Year Journey: How Trend Micro Helped Bring Down Scan4You appeared first on . 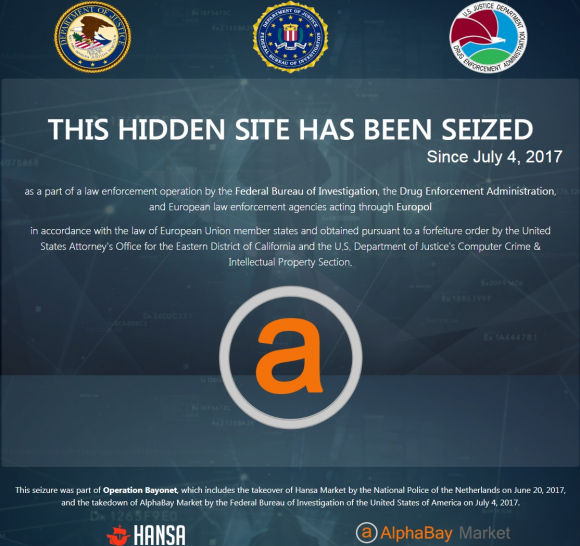 Following today’s breaking news about U.S. and international authorities taking down the competing Dark Web drug bazaars AlphaBay and Hansa Market, KrebsOnSecurity caught up with the Dutch investigators who took over Hansa on June 20, 2017. When U.S. authorities shuttered AlphaBay on July 5, police in The Netherlands saw a massive influx of AlphaBay refugees who were unwittingly fleeing directly into the arms of investigators. What follows are snippets from an exclusive interview with Petra Haandrikman, team leader of the Dutch police unit that infiltrated Hansa. 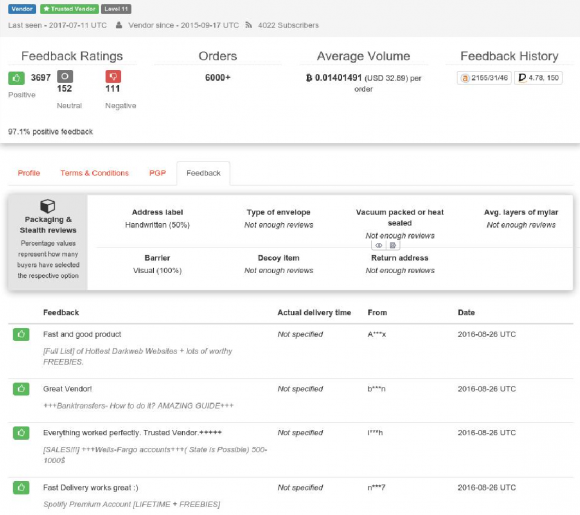 Vendors on both AlphaBay and Hansa sold a range of black market items — most especially controlled substances like heroin. According to the U.S. Justice Department, AlphaBay alone had some 40,000 vendors who marketed a quarter-million sales listings for illegal drugs to more than 200,000 customers. The DOJ said that as of earlier this year, AlphaBay had 238 vendors selling heroin. Another 122 vendors advertised Fentanyl, an extremely potent synthetic opioid that has been linked to countless overdoses and deaths. In our interview, Haandrikman detailed the dual challenges of simultaneously dealing with the exodus of AlphaBay users to Hansa and keeping tabs on the giant increase in new illicit drug orders that were coming in daily as a result.